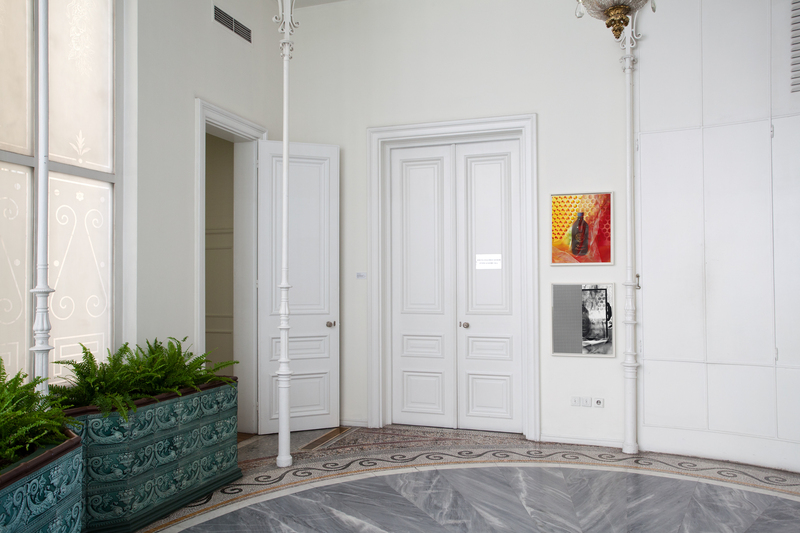 The Stathatos mansion : A marble staircase leads up to the elevated ground floor of the mansion, to the dining room and the main drawing room, as well as a cast-iron rotunda axial to the entrance. 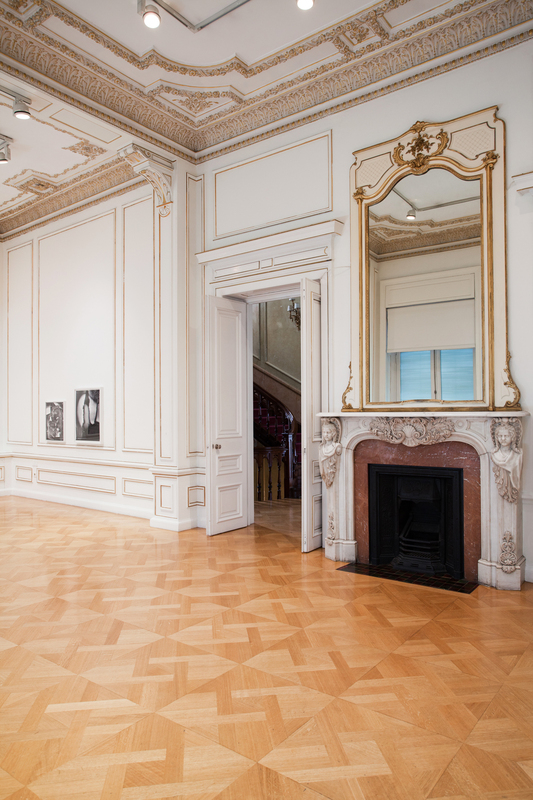 No alterations have been made to these rooms, which have retained their original gilded stucco mural decorations, chandeliers, and fireplaces (during exhibitions parts of these are covered by wooden revetments). Unpacking the photographic images of German born Alfred Otto Wolfgang Schulze (1913-1951), known as Wols, and American artist Eileen Quinlan (*1972) a similar encounter with familiar objects, -cheese, beans, mud, esh, liquids, cloths, a hand or a face- pro- duces indelible imprints, representations of temporal operations and elemental materiality. Wols, cited by art historians as one of the three pioneering art informel artists, together with Jean Fautrier and Jean Dubuffet, became known post-humously for his watercolours, drawings, writings and his heavily worked paintings with scratched layers of oil of the mid 1940s. His photographic work of the 1930’s had been largely ignored until photography historian Volker Kahmen and photographer Georg Heusch produced modern prints in 1976 from negatives made available by Wols’s sister, Dr. Elfriede Schulze-Battmann. Wols made numerous portraits, close-ups of pavements and dilapidated walls, rocks and beaches and was commissioned to photograph the ‘Pavillion de l’ Élégance’ in the 1937 Paris World Fair. 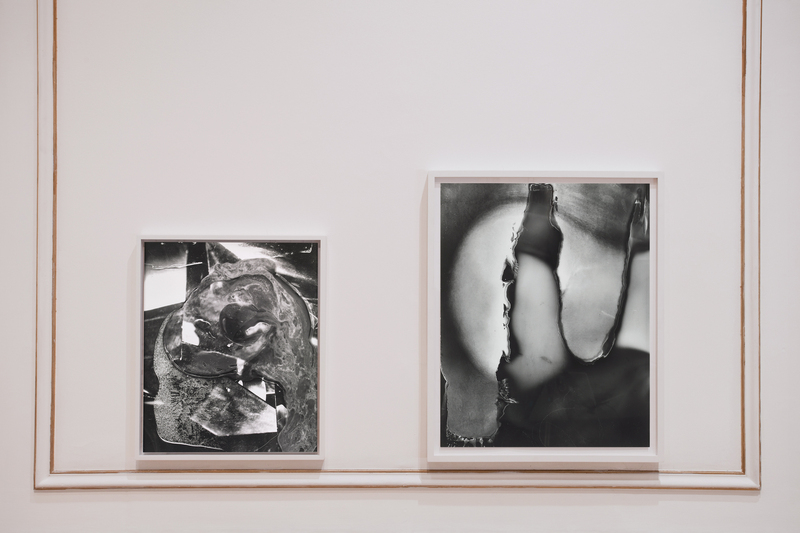 Often working with borrowed cameras and more often than not unable to procure materials to print his negatives, he used his kitchen as makeshift studio and darkroom. It is in the kitchen that Wols produced some of his most outstanding images: “He went shopping and cooked Spanish or Chinese…..but first everything was photographed [raw]-the rabbit, the onions”, writes his wife Gréty, in a 1966 letter. Defamiliarizing the ordinary through the devolution of objects, Wols still lifes echo Georges Bataille’s writings on the ‘informe’ and ‘base materialism’. They are symptomatic of a feeling of insecurity permeating Paris in the 1930s, an atmosphere mirrored, one can claim, in today’s uncertain developments and imminent changes in Europe. 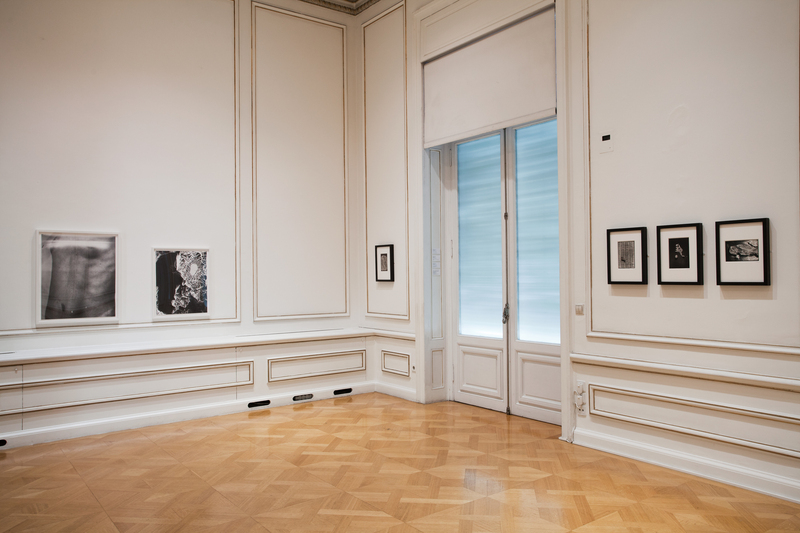 (curator’s notes and exhibition press release). Born in Berlin in 1913, Wols left Germany in 1932 to live in France except for a two-year residence in Spain. After the outbreak of the Second World War, he was interned for over a year in various camps. After his death in 1951, Wols was represented in the rst three Documenta exhibitions (1955, 1959, 1964) and at the Venice Biennale in 1958. 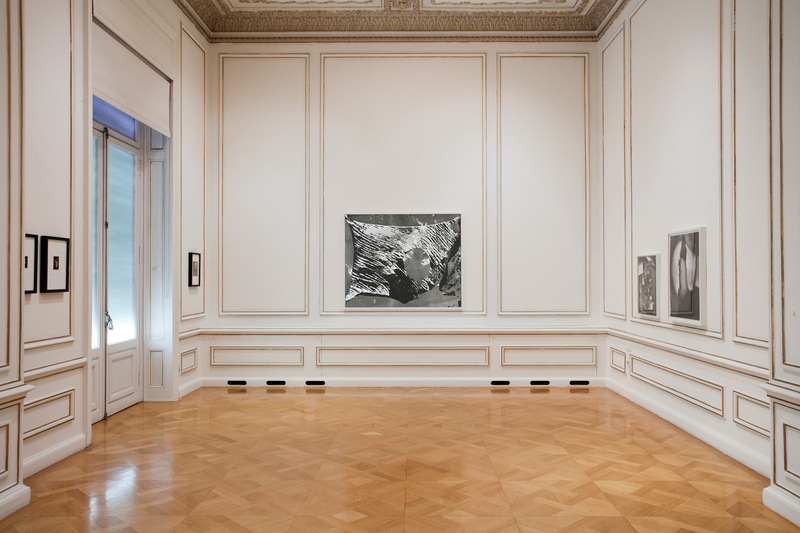 Major exhibitions of his photographic oeuvre include: Wols, der gerettete Blick, curated by Michael Hering, Kupferstich Kabinett, Staatliche Kunstsammlungen, Dresden (2013) and Martin Gropius Bau, Berlin (2014); Wols Photographs, curated by Christina Mehring, Busch-Reisinger Museum, Harvard University Art Museum, Cambridge, MA (1999) and Wols, Photographe, curated by Laszlo Glozer, Centre Georges Pompidou, Paris (1980). Eileen Quinlan teaches at Bard College’s Milton Avery School of the Arts. 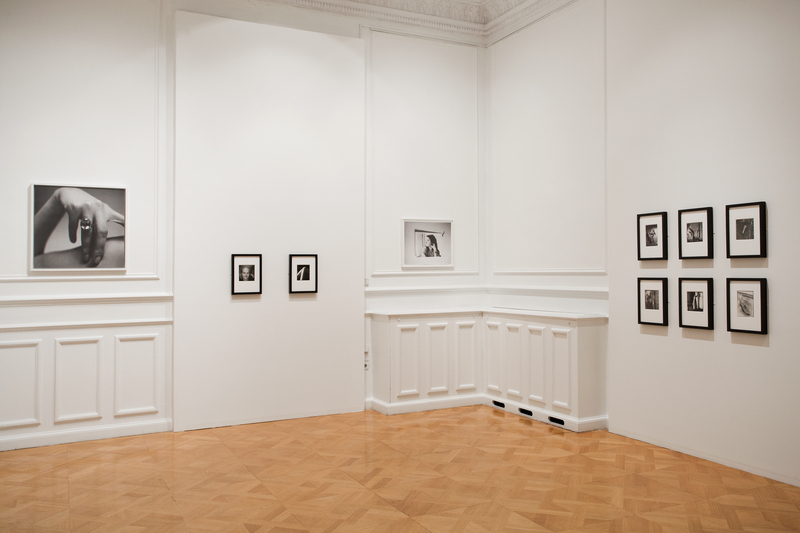 Her work has been featured in solo and thematic exhibitions internationally including Image Support, Ber- gen Kunsthall, Bergen (2016); Lens Work, LACMA, Los Angeles, CA (2015); What is a Photograph?, ICP, New York (2014) and Momentum 13: Eileen Quinlan, ICA, Boston, MA (2009). She is represented by Miguel Abreu Gallery, New York and Campoli Presti, London/ Paris. Her work is in the permanent collections of the Hammer Museum, Los Angeles; the Metropolitan Museum of Art, New York; the Whitney Museum of American Art, New York and the Museum of Modern Art, New York among others. 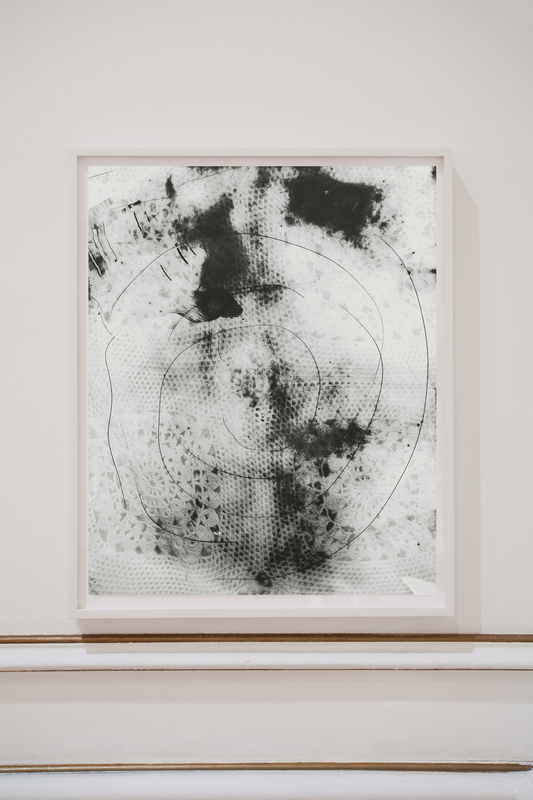 Eileen Quinlan is represented by Miguel Abreu Gallery/New York. Helena Papadopoulos carefully chose the pieces by Wols and Eileen Quinlan and placed them in this environment of Cycladic Museum. I loved the exhibition! Walking from the Athens streets in the Stathatos Megaro was a poetic wave. Thank you Helena! 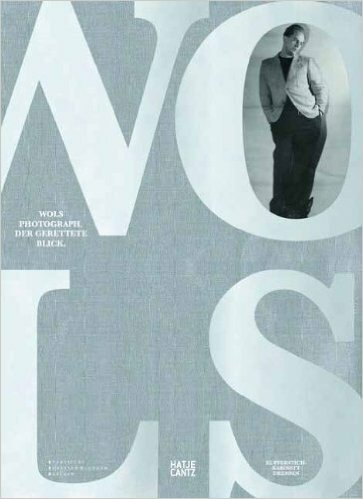 Couple of years ago in Berlin I had the chance to see the “Wols Photograph – Der gerettete Blick: Ausstellung des Informel-Künstlers im Martin-Gropius-Bau, Berlin . Moreover, I believe the “Always starts as an encounter ; Wols/Eileen Quinlan” exhibition is a truly gem. Organized by Radio Athènes with the collaborationof the Goethe-Institut, with additional support from Outset. 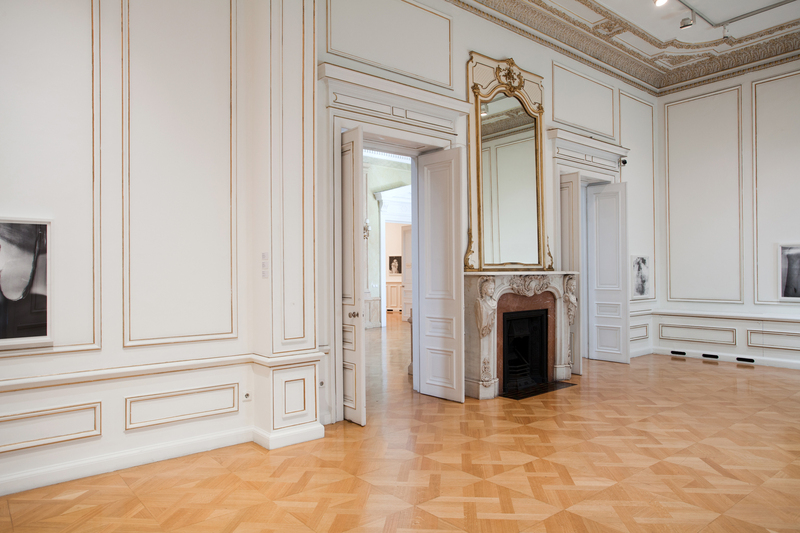 Greece; the Kupferstich-Kabinett, Staatliche Kunstsammlungen Dresden; Miguel Abreu Gallery, New York; Aegean; New Hotel, member of Yes! Hotels and Design Hotels and the generous participation of Olivier Berggruen. 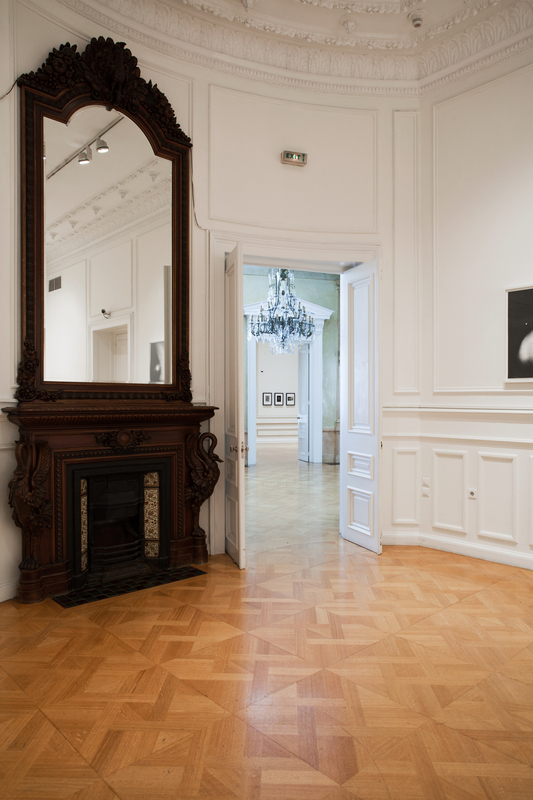 Ms Papadopoulos and the Cycladic museum want to acknowledge with warmest thanks to : Eileen Quinlan, Miguel Abreu, Olivier Berggruen, Stephanie Buck, Aphrodite Gonou, Michael Hering, Maria Joannou, Elina Kountouri (NEON) , Samuel Merians, the Eileen Quinlan Studio and Juliane Stegner. The Stathatos Mansion gracefully combines elements of Greek and Roman architecture with the canons of Romantic Classicism, prevailing in nineteenth-century Europe. The building is articulated with two virtually identical fronts, which meet at a monumental porch of Renaissance form. The entrance is emphasized by an arched façade supporting a balcony on the first floor, as well as by two statues crowning the roof; work of the Bavarian architect Ernst Ziller, is one of the most important extant examples of Neoclassical architecture in nineteenth-century Athens. It was built in 1895 as the residence of the family of Othon and Athina Stathatos, to whom it belonged until 1938. It subsequently housed diplomatic representations of various states. 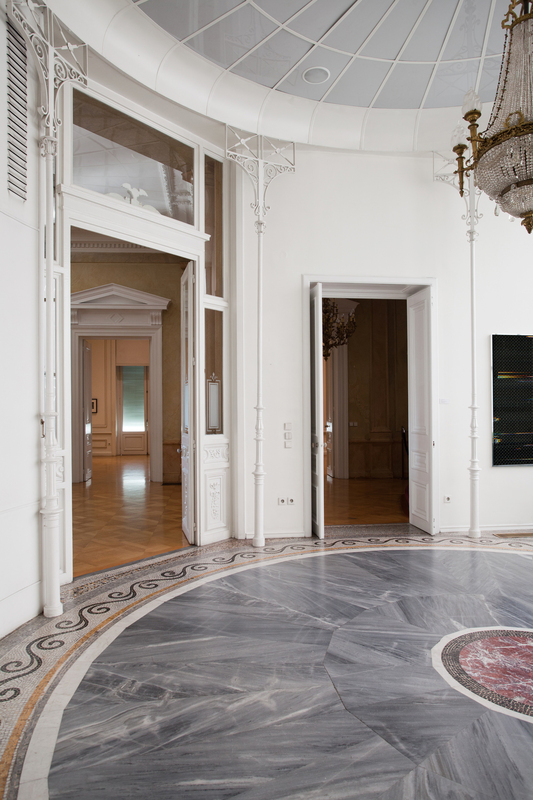 In 1982 it was purchased by the Greek State and was restored and refurbished by the architect P. Kalligas, with a view to its use as accommodation for VIP guests of the State.For various reasons this plan was abandoned and in 1991 the building was leased to the MCA, in order to cover its increased needs for exhibition space. In 2001 the Greek State decided to concede its use for another 50 years to the N.P. 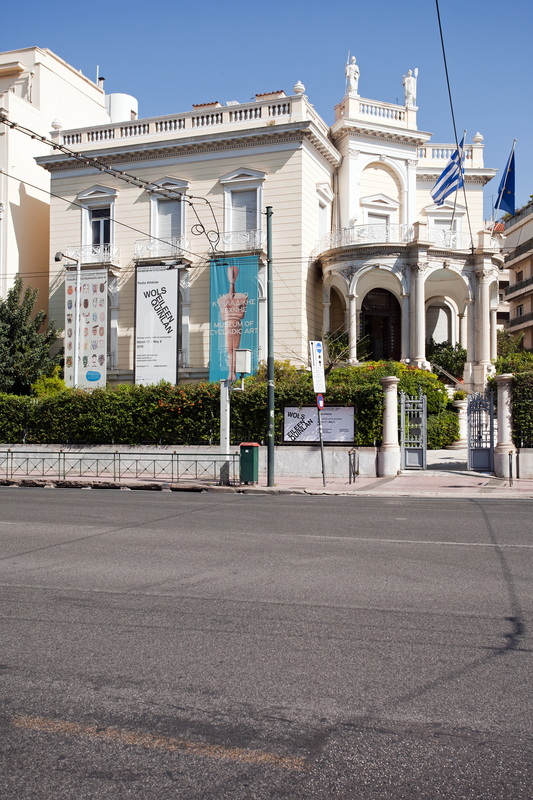 Goulandris Foundation, to facilitate the operation of the museum. one of the best -designed spaces in Greece, the Cycladic Art Cafe, concept and designed by the wonderful KOIS Associated Architects.